Joss Whedon was born to be a writer. Not only were both his father and grandfather, successful writers of radio and TV but he even managed to have an unhappy childhood. How could he fail? As an adult, Joss Whedon would become one of the most accomplished TV and movie writers of the last twenty years. But he’s certainly had his ups and downs as Amy Pascale’s wonderfully thorough biography reveals. His first job, writing for sitcom Roseanne was generally frustrating with only one of his scripts really getting to the screen, albeit in a particularly good episode in which cynical daughter Darlene (Sara Gilbert) has a poem read out at school. Whedon’s first film also had a neat twist: what if one of the dippy high school girls (a “Buffy”) typically killed off in horror films asserted herself and became a vampire slayer herself? But Whedon was young and lost control of the project. The end result in 1992 (the film Buffy the Vampire Slayer starring Kristy Swanson) was technically a hit but pleased few people who watched it, least of all Whedon himself. Something similar happened with Whedon’s later attempt to revive the Alien franchise, Alien Resurrection. Whedon’s script was good but the directors, the Jeunet brothers went their own way. Whedon’s attempts to save Waterworld from disaster also fell on deaf ears largely due to resistance from star Kevin Costner. Whedon found the production of the 1995 sci-fi film in disarray “This guy has gills man! What on Earth were you guys thinking?” Whedon recalls thinking on his arrival. However, when Whedon’s script doctoring has been given full rein as in the cases of Toy Story and Speed, Whedon not only “saved” both movies, but made them amongst the most memorable films of the Nineties. Actress Sandra Bullock to some extent owes her career to Whedon’s love of strong female characters for her winning turn in her breakthrough role. It was the return of another such character Buffy, now played by Sarah Michelle Gellar now on TV which brought about Whedon’s most perfectly realised project and the main topic for much of this book. Building on the foundations of groundbreaking mid-Nineties teen dramas My So Called Life and Party of Five, Buffy was never massive ratings hit but nevertheless changed TV forever. With the characters speaking in their own witty highly sophisticated lingo reflecting Whedon’s love of Shakespeare, Buffy also spawned classic episodes Hush (in all of the main characters are temporarily rendered speechless), The Body (in which Buffy’s mother dies suddenly, echoing the death of Whedon’s own mother ten years earlier) and Once More With Feeling (the hugely acclaimed musical episode). Buffy also spawned the successful spin off Angel. 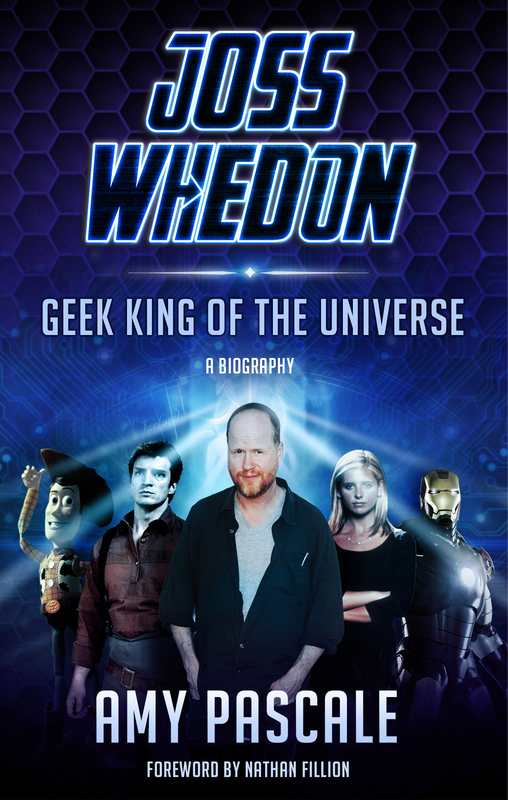 Yet Whedon’s career faced a setback in 2003 and 2004 when he suddenly went from being the master of three series – Buffy, Angel and sci-fi drama Firefly – to the master of none when all three shows ended. Just as Whedon revived the failed film of Buffy for TV with huge success, acclaimed but short lived TV show Firefly was revived for the big screen as Serenity. But though good, the film too failed at the box office. Although clearly a huge Whedon fan Amy Pascale never shirks from dealing with Whedon’s failures (TV show Dollhouse flopped, various projects such as an animated series of Buffy never got made) to his successes which include a production of Much Ado About Nothing to the current TV series Agents of SHIELD as well as the recent huge smash hit movie Avengers Assemble. Amy Pascale has produced an essential guide to one of the greatest screenwriters of our time as he enters his fiftieth year.